manufacturer in Your country directly. right corner of the screen. of representative in Your country. Polishing machines - descriptions, photos and technical specifications, global manufacturers. Send inquiries to the manufacturers and contact them directly. 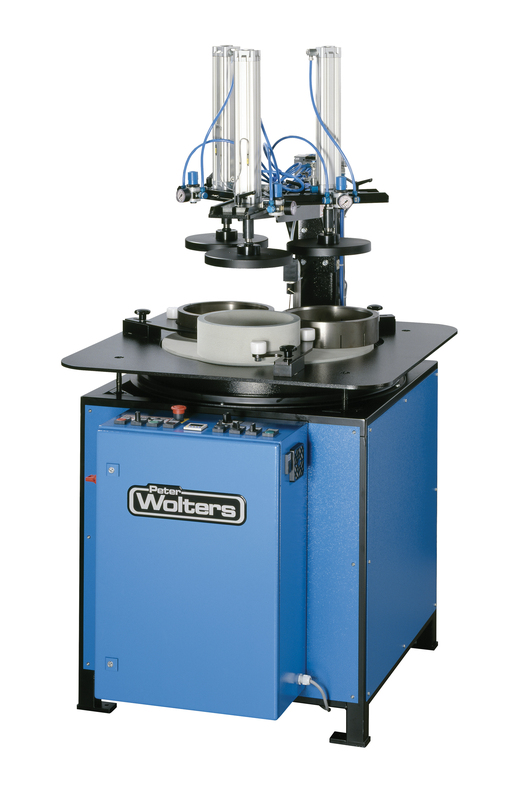 Single side polishing machine from company Peter Wolters - it's a precision polishing with continuously adjustable speed. 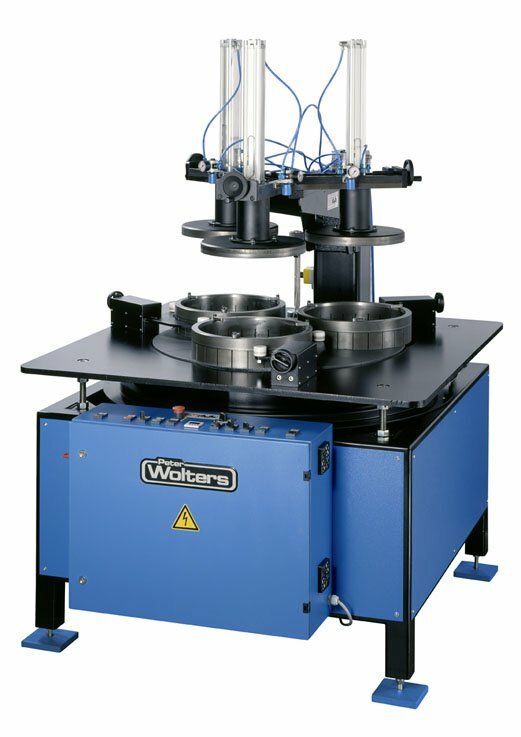 Peter Wolters offers very durable machines with options for cooled lapping wheel, variable speed and pneumatic loading system, depending upon the application. Also, our company offers a complete service-after-sales. This service includes rapid supply of spare parts and consumables, customized training, trouble shooting, expert recommendations by our expirienced and skilled service. Double wheel lapping machine - AC microLine 470 - 2000 L series. The lapping machines AC series from Peter Wolters are able to accept work material of different shapes, i.e. irregular, rectangular or round and full surface or surfaces with cut-outs. Also, for work materials and workpieces with different geometry it is possible to reach extremely precision results. Double wheel polishing machines - it is a complete range from AC 470 P to AC 2000 P machines. The polishing machines from Peter Wolters are suitable for the machining of delicate of thin parts. All working processes and methods are productive, flexible and very simple. During the machining operation all workpieces are loosely held. Reliability, durability, automation solutions and variety in applications - these are the features which characterise double wheel polishing machine AC. Various, clear PLC options to adjust machine parameters. 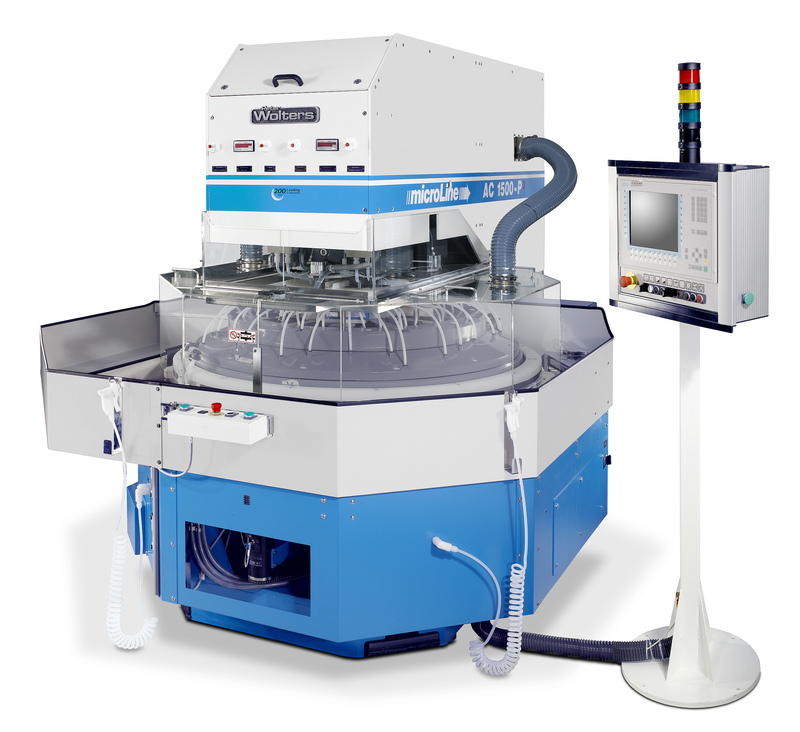 Single side lapping machine 3R 380 - 600 - it's a table-top lapping instrument with continuously adjustable speed. This lapping machine from Peter Wolters main area of use - in university research institutes and laboratories. 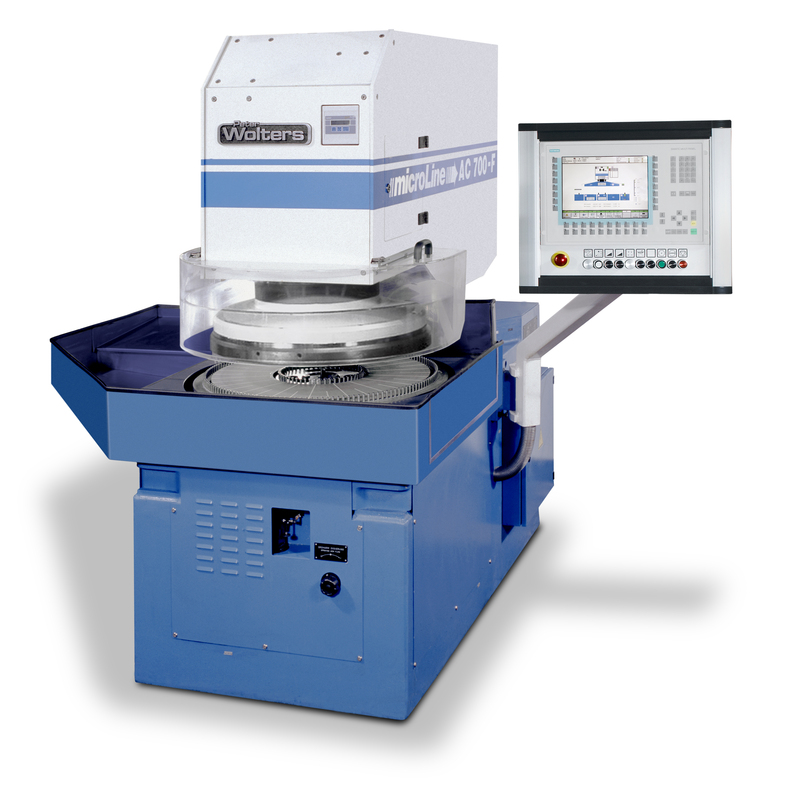 The lapping machine 3R 600 - 1200 - production machine for medium or large work materials in series production. All machines are offered by company Peter Wolters with pneumatic loading system, options for variable speed and cooled lapping wheel.